Tandoor is the first thing that comes to mind when people talk about Naan. No it is not ‘Naan bread’. It is Naan, a kind of flat bread. The yeasted, doughy, soft, earthy bread that is so good to scoop up curries with. Yes, traditionally they are made in Tandoor, but there is no reason why the common people like me can not make them in a simple oven. I agree, for years when I did not own a proper oven I made these on a regular gas stovetop. The stovetop Naan is good, but it does not have the wow factor in taste or appearance as the one made in Tandoor does. The oven baked one, however comes quite close. Making naan does not start much differently than other breads – flour, water, yeast start the process. Then there are additions like yogurt and milk to give it the flavor and soft texture of the classic naan. Add in a little baking powder to help with the leavening . A pinch of sugar and a dash of salt. If you want your naan super soft, add an egg. That’s all. Bake. Eat. Enjoy. Today’s homemade naan recipe is for a plain one. 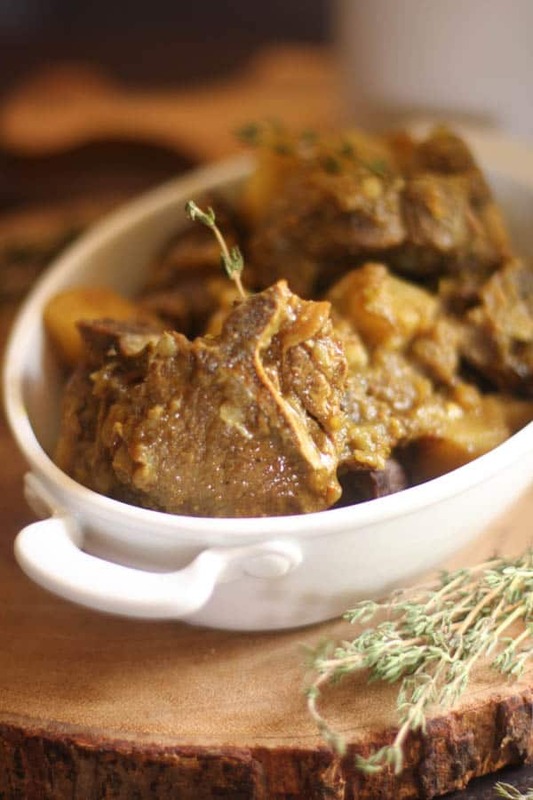 You can add in minced garlic, herbs, spices, raisins etc as a last step just before baking to get different flavors. You can also add in essences like rose, kewra etc for a fragrant naan. 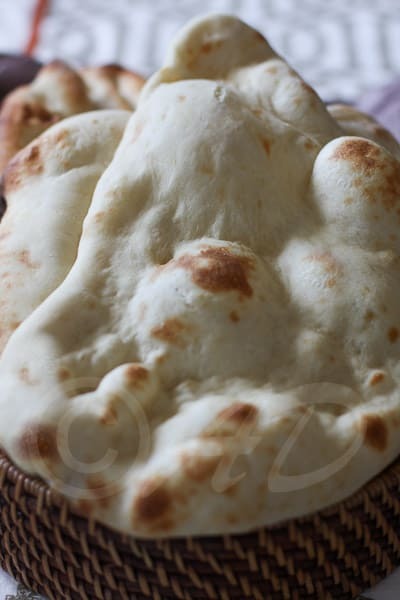 1) Hydration of the dough – keep it on the wet and sticky side for the doughy, soft & chewy naan. 4) Breathe – it’s only dough and it will bake! Add the yeast to the warm water. Add in a pinch of sugar from the 1 tbs and reserve the rest. Stir to mix. Set aside for 5 minutes or until the yeast has dissolved and the mixture is frothy. Sift the flour, salt and baking powder into the bowl of a stand mixer. Add the remaining sugar, the yeast mixture, the 2 tbs oil, the milk, the yogurt and egg. Mix with the paddle attachment until everything combines and a somewhat sticky dough is formed. Allow to rest covered for 5 minutes and then knead with the dough hook until it looks shiny. It will still be somewhat sticky, but don't be tempted to add more flour. Form into a ball and take it out of the bowl. Now brush the base of the bowl with some oil and place the dough in it. Cover the bowl with a piece of cling film and set aside in a warm, draught-free place for an hour or until the dough doubles. 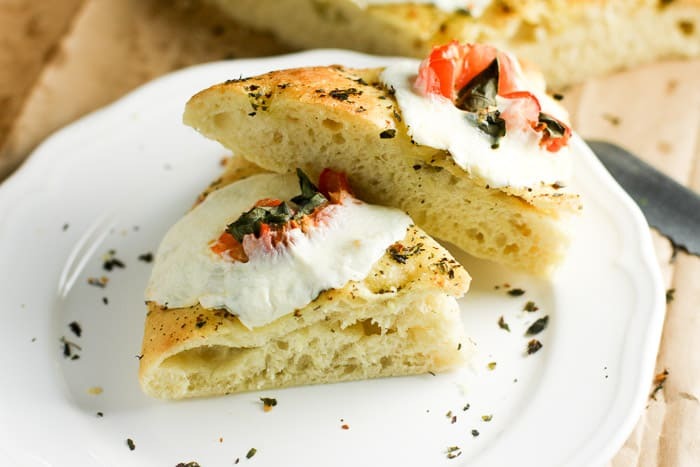 25 minutes before you are ready to bake, Pre-heat your oven to 550*F. Place a pizza stone in it to heat as well. Punch down the dough and divide into 6 equal balls. 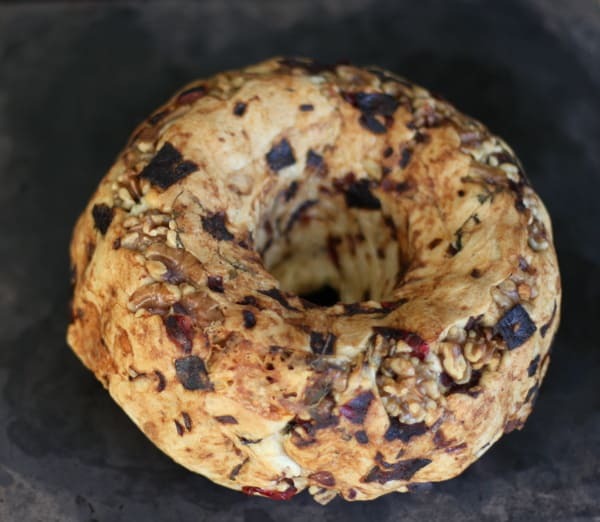 Working with one dough ball at a time,roll out into a tear drop shape. Wide on one side, narrow on the other. Lift up and place it on the pizza stone. Bake for about 2 - 3 minutes. Keep an eye on it after the first 1.5 minutes and take out when the gets a few brown spots. Remove from oven and brush with butter before serving. Had to bookmark this reciepe. I have been looking for Naan receipe, nothing looked closer to real naan but these naans looks like you nailed it. What type of flour is used here? 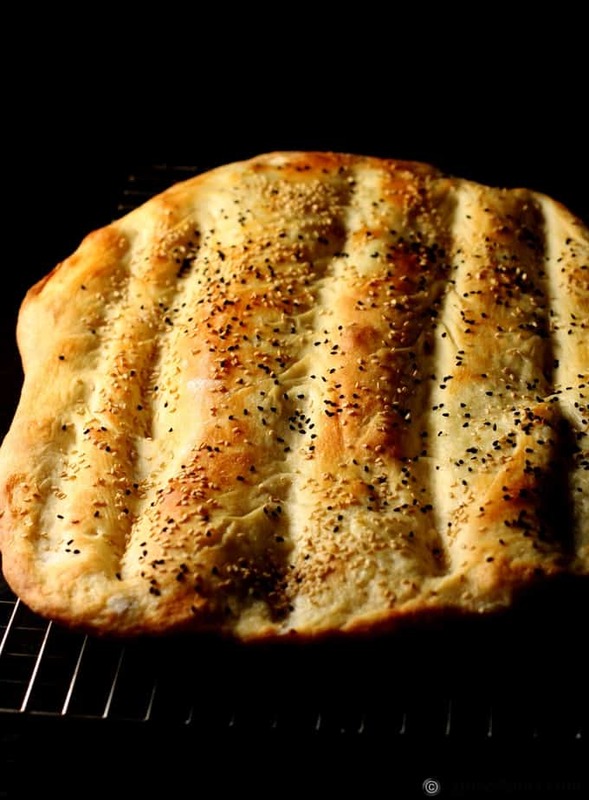 The recipe sounds simple and the naan looks amazing! It is just all purpose flour. Maida in urdu and Hindi . Thanks for the help here! I wasn’t cooking the naan hot enough before. 550F minimum is right. Could anyone who has tried this out let me know if the addition of egg makes the naan smell eggy. I hate food stuff that have the slightest eggy smell/after taste..
Naan otherwise looks fantastic and can feel the soft texture by just looking at it! Vaish, It doesn’t have any eggy smell. Not even the bit you get in a muffin. Go on try it. 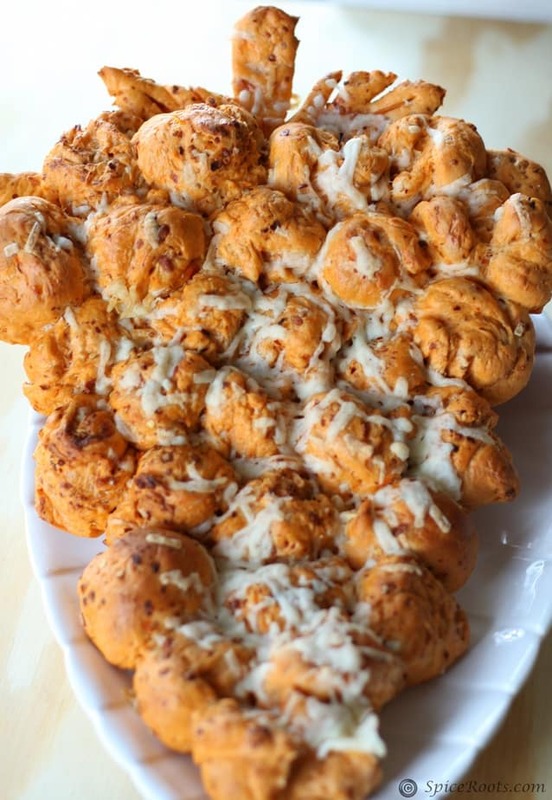 I am part of a food group on Facebook where a friend of yours (Karen Harris) shared this Nan bread and I wanted it for my own. Your blog is very well done and I am bookmarking it in my food file for the future. Karen is at it again and I’ve yet to try it. That Costco stuff is sure easy but I’m betting this tastes out of this world. Our next cooking event together? You know how I feel when I see these! THUD!! Big time THUD! Need a pizza stone asap, and want naan. Beautiful! Your naan looks as if you have done in a clay tandoor, PERFECT!!! It’s the pizza stone and high temperature of the oven. Thanks Balvinder. This is calling my name! I have always wanted to try making naan and it looks so comforting! Thanks Laura. Go for it. Thanks Donalyn. Pizza stone makes a big difference in the texture of the Naan made in oven. I have to try Naan one more time with Yeast. This looks exactly the way I want it to be . 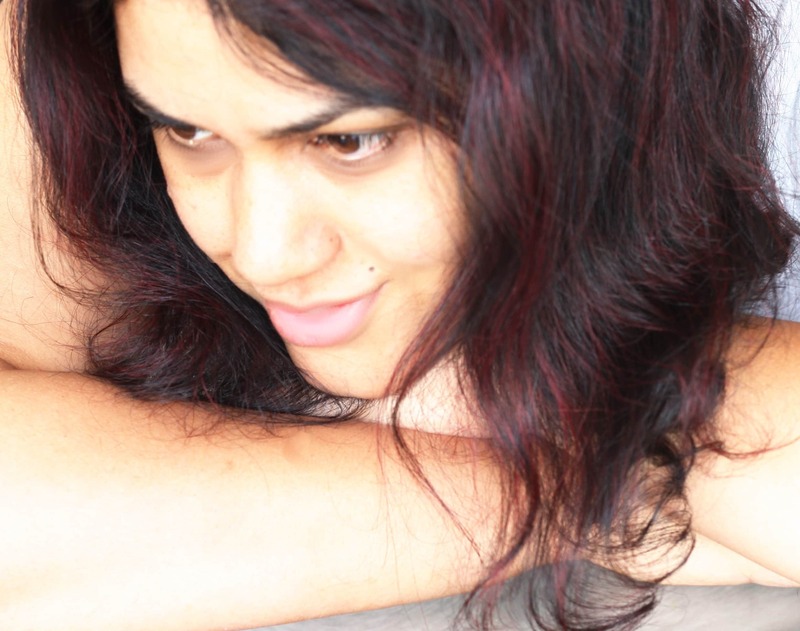 You must try the yeasty one Radhika. You will Love it. Thank you for your kind comments. I love a yeasty Naan. Let me know how it works for you, Mireya. These look SO good. I’ve not yet had good luck with this but I’m going to follow these directions to the letter and then hold my breath. If you keep the hydration on the higher side, Maureen you will make perfect naans. Good luck. I love naan! My favorite Indian bread. I’ve made it, but with so-so results. Definitely something I need to practice. Yours looks wonderful! Terrific inspiration — thanks. You said it.. practice and don’t give up. It’s really a very satisfying bread. But then all breads are! Beautifully done, Ansh! It’s been a while since I’ve made naan and I’d like to try again soon. I’ll be sure to use your recipe and hope my results are even half as tempting as yours. Holly, If you can conquer macaroons, you can conquer anything! Just go for it! 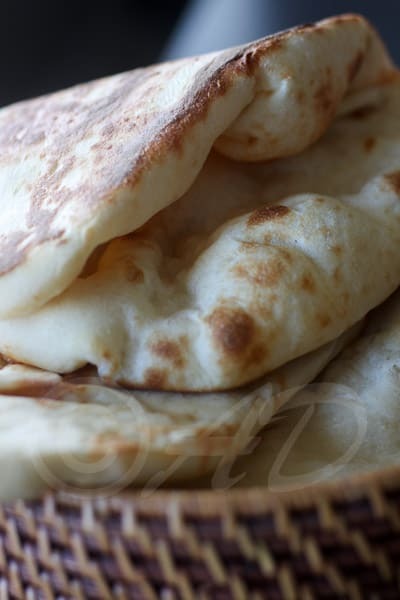 I adore Naan and would love to try to make it. However, you know me and my doughaphobia. I made pizza dough Monday night and it was a disaster. Tough and crunchy and practically inedible. I really don’t understand dough. OH NO!! I am so sorry Lea Ann. We should get together and take this dough to task. I would love to bake a bread with you. Sending the link to my sisters! We had always been in search of a good recipe for naan.Is there a recipe without eggs? In India, there are 250 days where women cannot eat eggs or touch eggs. so…before they ask, I am asking! Shyamashree, I am working on an eggless recipe today. will keep you posted on how that turns out. I do have a eggless recipe, but it doesn’t stay as soft as this one. So tweaking it a little to see what becomes of it! I love NAAN! IT’s probably my favorite bread! Once I won a cooking contest by making Cuban sandwiches on NAAN bread! It was perfect for that sandwich! Im going to try and make this! I would love to have some NAAN in my house! Heather, I love a Naanwich 😉 You will love this! 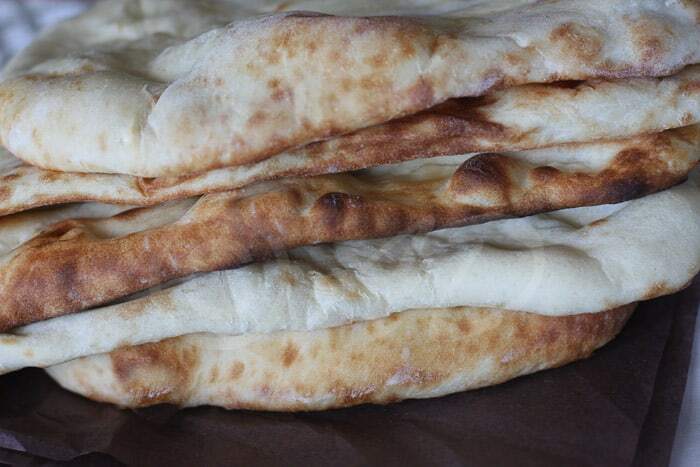 Naan looks so perfect! I am very tempted to give this a try. You must absolutely try it Priti.